Most of us encounter only small parts of the cities and towns we call home. These are our activity spaces. Activity spaces determine access to resources like parks. Activity spaces determine exposure to hazards like pollution. We combine new mobile phone sensing techniques with traditional demographic methods. 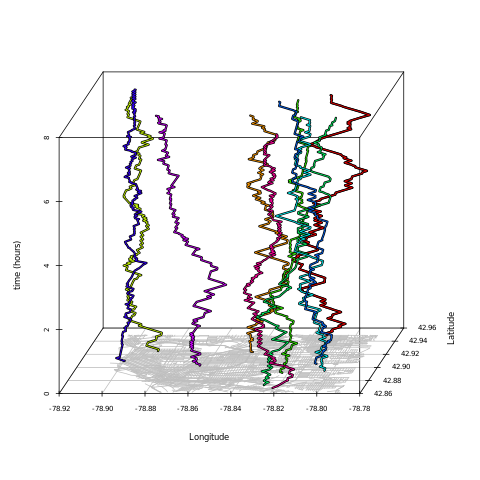 We are developing open source applications for collecting and analyzing activity-space data. The data we gather will be placed in an open access repository. The Activity-Space Project is aimed at better understanding human mobility at the scale of cities. 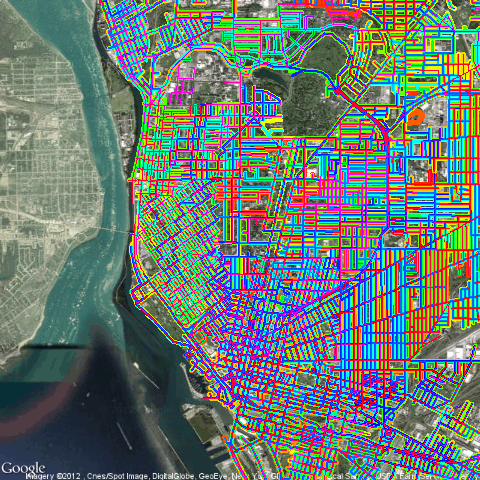 By studying daily patterns of movement across a city, we can learn about access to resources and exposure to hazards. We can learn about barriers that lead to inequality and opportunities to improve peoples' lives. This project requires participation: We are looking for volunteers to answer a short survey and to track their activity-spaces using an open source mobile phone application that is designed to protect privacy. 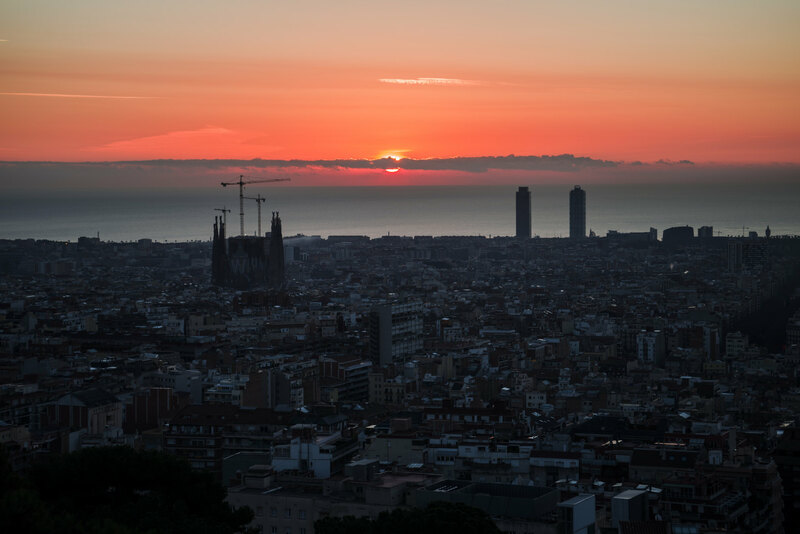 Members of the research team will be walking all over Barcelona during the spring of 2018 looking for volunteers. Image: Activity-Space simulation in Buffalo, New York, USA. John R.B. Palmer (2013), Activity-Space Segregation: Understanding Social Divisions in Space and Time, Dissertation, Princeton University. One of the obvious ways in which our activity-spaces matter is that they determine our exposure to pollution. By participating in the project, you can learn more about how your daily routes bring you to more or less polluted areas. 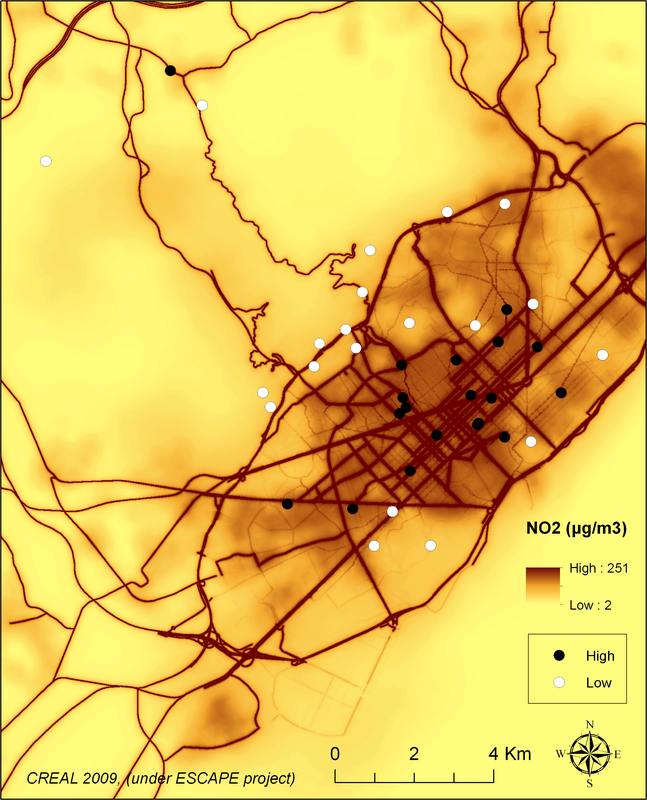 You can also help to illuminate the ways in which population-level mobility patterns influence the pollution exposure faced by everyone else in your community. A less obvious way in which our activity-spaces matter is that they determine our exposure to mosquitoes. Mosquitoes are more than just a nuisance: they are potential vectors of diseases like dengue, chikungunya, and Zika. 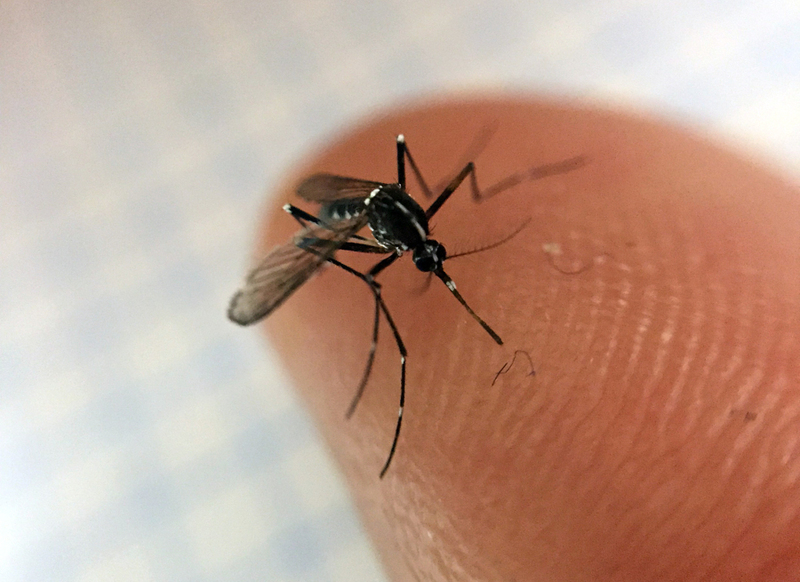 The Activity-Space Project works with Mosquito Alert to help you connect your mobility patterns to your risk of exposure to tiger mosquitoes. Image: Aedes albopictus. Anonymous Citizen Scientist via Mosquito Alert. CC BY 4.0. Activity-spaces also determine our access to resources like parks. How much green lies within your activity-space? You'll be able to calculate that by participating in this project -- and you will help to improve our understanding of green-space access across the city. Image: Parc de Joan Miró. Victor Grigas, Wikimedia Commons, CC-BY-SA-4.0. © 2016 John R.B. Palmer · This project has received funding from the European Union’s Horizon 2020 research and innovation programme under the Marie Skłodowska-Curie grant agreement No 657956.